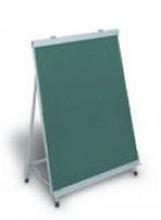 Portable Blackboard with adjustable height. 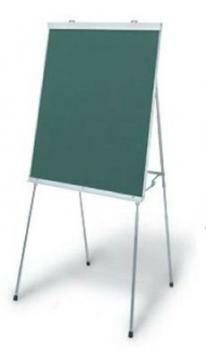 This blackboard is framed in aluminum. The telescoping easel legs allow the blackboard height to be adjusted. 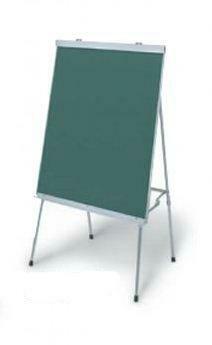 A flip chart bar and chalkboard accessory tray are included.